This Jane Austen favourite has been realised for stage by Kate Hamill, an actor herself and who appeared in the Broadway production a year or so ago. 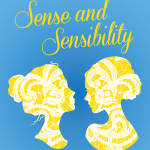 It has been called Jane Austen on steroids being a fast moving and exciting adaption. Production dates from 1st to 15th June.